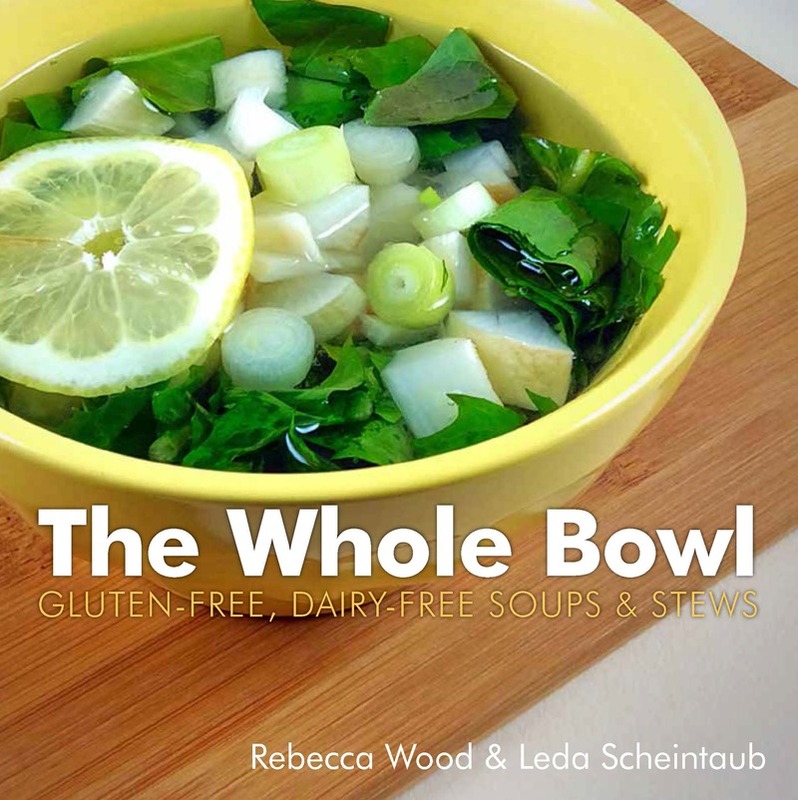 From Julia Child Award–winning author Rebecca Wood and food writer Leda Scheintaub, The Whole Bowl offers soups and stews using real food ingredients both familiar and new to restore, nourish, and heal the body. The two authors share a philosophy about the deep nurturing power of real, wholesome food that translates into delicious everyday meals you’ll thrive on. There’s something for everyone, whether you’re a die-hard meat-and-potatoes person, a vegan, or somewhere in between. Gluten-free and dairy-free cookbooks abound these days, yet there’s not been a great book exclusively about soups and stews. Now, this satisfying book of recipes accompanied by gorgeous photos fills this gap. Some of the dishes have a targeted healing mission, such as Cold Quell Soup, packed with pungent mustard greens. Others are comfort food fare, such as Easy Chicken Soup and Slow-Cooker Pork Tinga. A love for Asian food is evident, with recipes including Soba in a Basket and Mulligatawny Soup. Many are complete meals in a bowl, while others can easily be expanded to feed a family. Soup accompaniments like cashew sour cream, amaranth flatbread, and cornbread complete the picture. With helpful sidebars on everything from how to cook soba noodles to the nutritional benefits of bone broth, this book is a wonderful introduction to the world of traditional foods in the form of a cozy bowl of soup. Rebecca Wood is author of The Splendid Grain, winner of both a James Beard Award and an IACP Award. She is also known for her classic, The New Whole Foods Encyclopedia. Leda Scheintaub is a food writer and recipe developer who once was a managing editor in the book business. She lives in Vermont.